Me and jockey Tara Hemmings and yes notice the thumbs up! 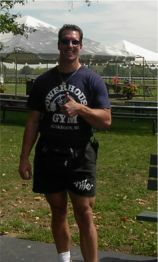 Hanging down at Delaware Park. 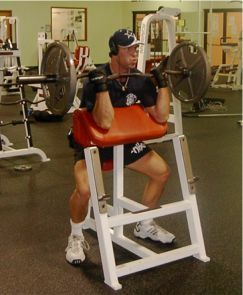 Doing curls for the girls ha ha..check out the intensity in my face! 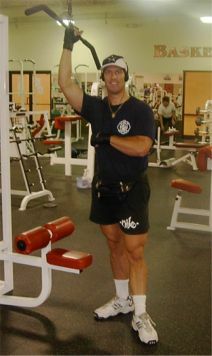 A double thumbs up! 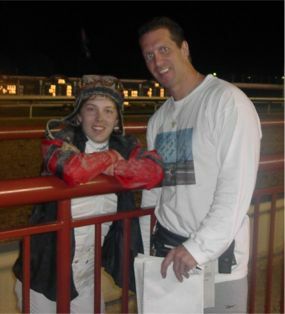 Me and Sarah Gibson at Pimlicio Racetrack in Maryland after she won a race and yes I got in the winner's circle. 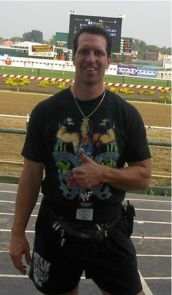 Me at Pimlicio Race Course in Baltimore Maryland.